JB Marine in Sicamous BC has so much to offer! Though the marine industry is our main focus, we also provide some non-related goods and services. We’re open Monday to Saturday year round! SERVICE - Our service department works on all brands of product and all ages of product. High performance boats included! We carry a large selection of parts on hand. 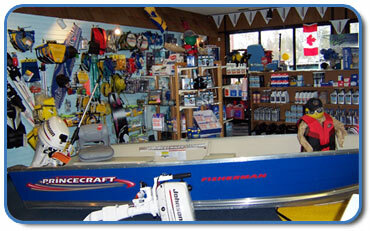 We also have USED parts and our Evinrude/Johnson and OMC parts selection is quite extensive. We service drives and we also rebuild engines and drives. Our knowledge on the OMC stern drive old electric shift and the 400 and 800 drives is very very good! 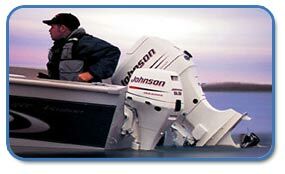 We are a Johnson Outboard engines dealer. INSTALLATION - We install any type of accessory you might need.. ie. cleats, steering, stereos etc... we sell and install Procharger systems. STORAGE - We offer boat storage and parking for vehicles in our secure fenced compound. USED BOATS - We are always looking for boats to sell! We advertise in the Bike, Boat and RV Trader. Visit our classifieds section to see what’s for sale. ©2014 JB Marine. Site design by Prima Design.